From the Right Bank is at it again with her your style in one image challenge. I loved it the first time and am having trouble with a post for today so I thought I would join in, ha! I think I could have a different image for everyday, but today mine comes from Cote De Texas. This is the home of Sally Wheat and I am quite obsessed with it. 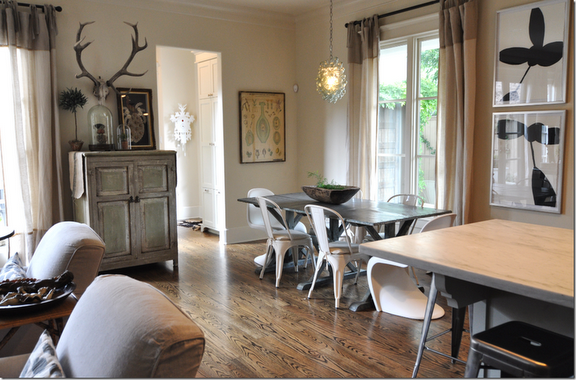 I love the neutral palette, new mixed with old, unique art, industrial pieces, the linen slipcovers, the simple window panels, the antlers, I even have the same trough on the table, really I could go on and on. I want to live her, I really do. Anytime I am in in a design slump I come back to this home, I truly am in love.